This strong roach killing gel is effective in killing a variety of different roaches in a bunch of different environments. This roach gel is effective when used only on German Roaches. 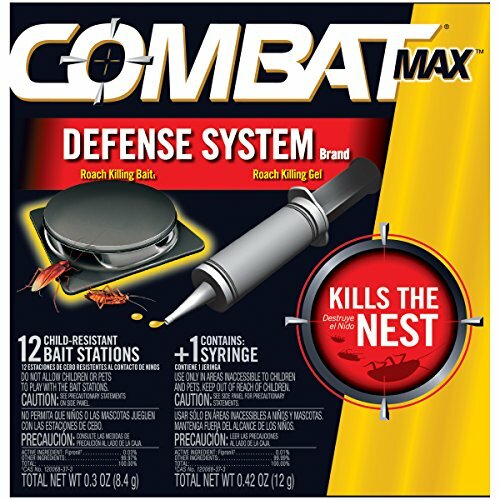 This large roach killing gel is great for use on large roaches inside and outside the home. Roaches become a problem in all different kinds of homes, and it does not always mean you did something to attract them. Sometimes they are just there, and you may never completely understand why. Roaches are capable of living in any environment, and they can withstand immense conditions. This animal is nocturnal and spends most of their times in the cracks around your home. Typically roaches prefer dirty, warm, and damp environments but that is not always a factor. In this article, we are taking a look at the top 4 best roach gels available on the market for 2018. Why Do You Have Roaches? What Is Roach Gel And How Does It Work? This gel bait can get used indoors and outdoors and is also safe for food handling and other chemically sensitive areas. This gel contains a high performing ingredient blend that is very attractive to all forms of cockroaches. This ensures that you get all the cockroaches in your home and you do not have any left behind after you treat the home. The gel can get used in areas like cracks and crevices where cockroaches are known to spend most of their time. The gel kills them quickly and ensures they do not survive once the bait gets consumed. Be sure to keep this product away from children and pets and do not treat open areas that can be easily accessed by kids and pets. 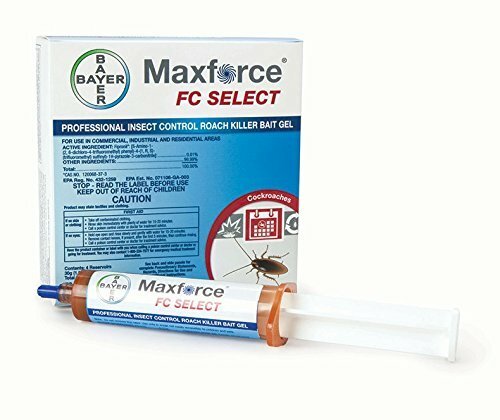 This ready to use bait is meant to kill and control the population of tough German cockroaches inside and outside your home. The box comes with four tubes and a total of 35 grams of gel per tube. The active ingredient in this gel is Imidacloprid 2.15%, and it is meant to kill German roaches only. This gel is not sufficient on any other kind of cockroach. The manufacturer recommends using this bait in conjunction with another bait to ensure that you get every type of roach you have in your home. Utilizing another bait with this is a great way to avoid bait aversion as well. Each bait is good for three months, does not have a strong smell, and is excellent for treating small cracks and crevices. This mighty roach killing gel is intended for large roaches in residential, commercial, and food preparation areas. This roach gel is potent because it contains .01% Fipronil which is highly effective on large roaches. The process of eliminating the roaches with the gel happens as followed. The roaches locate the gel and consume it-once they do that they are contaminated, and return to the nest where they die. The other roaches feed off the dead cockroach and become contaminated themselves. Before you know it there will be a bunch of dead cockroaches feeding off each other, and they are all contaminated. This is how you take down a big infestation of large cockroaches. This roach killer comes in a gel form that gets put into a syringe applicator. This works fine for small cracks and crevices, but it is best if you have a general idea of where the infestation is. This roach killing gel is incredibly simple to use and is very effective at killing off large infestations over a long period. The box comes with twelve roach killing stations and a syringe applicator for the gel. 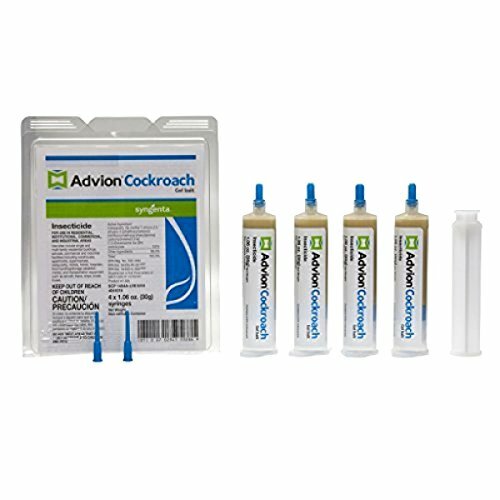 For this system, all you do is put the bait stations in areas where you know you have an abundance of roaches and you apply some of the gel bait the station. The roaches come to the station to feed on the bait, and once they do, they become contaminated. They then return to their nest and contaminate the rest of the roach population at the nest. This slowly kills off the majority of the population and keeps it from becoming an infestation again. These bait stations start to work within hours and last up to six months without being replaced. This gel and bait station is also safe enough to keep around children and pets. This bait can also get used in food preparation areas. Roaches build a nest similar to most other household pests. They leave the nest when they are foraging for food-this is why roaches are most popular in dirty of poorly kept homes because there is often an abundance of crumbs and food particles. This does not always mean that roaches only inhabit dirty homes. They may be attracted to a certain smell in your home, or if you have a lot of cracks in your foundation, they may get attracted to the accessibility. Roaches reproduce quickly, so it is important to use something that is going to kill them quickly. Roaches reproduce quickly, so it is important to use something that is going to kill them quickly. Another thing that makes roaches difficult to get rid of once you have them is the fact that they can survive just about anything. Roaches are attracted to a combination of certain things, and that is what gets put into the gel baits. Once they make the right combination of insecticides with attractants in the gel, it draws the roaches in. Roach gel is just a combination of different things that roaches are attracted to. Roach gel works by causing the roaches to consume it due to the attractants. Once the roach consumes the bait, it then goes back to the nest where it eventually dies. Once the roach dies times, the other roaches feed off the dead carcass, and that is how the entire nest becomes infected. If you have young children or pets hanging around you might want to go to a bait station because all of the bait gets safely contained inside. Even if your child finds the station, they shouldn’t be able to get inside and get any of the bait. If you use a gel bait in areas where they can get to it could become a hazard to their health. There is no 100% sure way to keep kids and pets safe so it’s best to keep the bait in areas they cannot access. Most of the gels you buy can be used indoors and outdoors but its still important to know that they are not all like that. The type of gel you choose also depends a lot on the type of problem you have. If roaches are coming in from the outside through cracks in your foundation, then the simple solution is to fill the cracks with the gel. If you are unsure about how they are getting in, then it might be more important to choose a gel that can get used inside and outside the home. One of the most important things to consider is, “how fast is this going to kill the roaches?” If you are dealing with a serious infestation, this is probably the number one question on your mind. Most roach gels begin to work instantly and do not require a lot of attention, but some take a little bit longer to work so be sure to choose the right gel for your situation. If you have a severe infestation, you may want something that works quickly-even if it doesn’t last as long.